When you visit Byrd's Auto Service, you're bringing your car to a service center that has a dedicated and knowledgeable staff that is eager to get your Lexus luxury vehicle back on the road quickly. 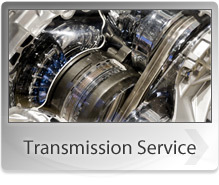 We use the latest automotive service techniques and technologies which allows us to repair a multitude of Lexus vehicles. We're conveniently located at Raleigh, NC 27610 and easy to reach. The staff at Byrd's Auto Service is waiting to complete maintenance or any repairs on your luxury vehicle. Lexus, the luxury arm of Toyota, is an automotive brand that combines the reliability of Toyota engineering and safety with luxury styling and amenities. The Japanese luxury brand takes aim at its German competitors and offers a lineup of stylish cars and SUVs that offer comfortable interiors and copious amenities and technologies. 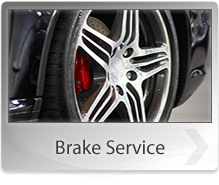 Byrd's Auto Service in Raleigh, NC is looking forward to keeping your Lexus operating at its best. When you leave your vehicle with Byrd's Auto Service, you're leaving your Lexus with people who will treat your car as if it were their own. That's hard to come by in today's automotive repair and maintenance market. Our staff at Byrd's Auto Service is eagerly waiting to meet all your automotive needs. If you have questions, or just want to schedule an appointment, call us at 919-779-2689. You can also stop by - we're waiting to help!